There’s plenty of garden nurseries in Seeb. The one I really like is large garden centre situated on the service road going from Al Bahja shopping centre on the direction to Seeb. I feel there like in the Botanic Garden. Nobody is following you and trying to sell you this and that, they just leave you wandering around. I’m a fan of banana trees, I have one in my patio, it’s growing well but what is fascinating me the most are the giant banana trees in the mentioned nursery. The last time I went there I took a picture, I hope the Manager didn’t mind. 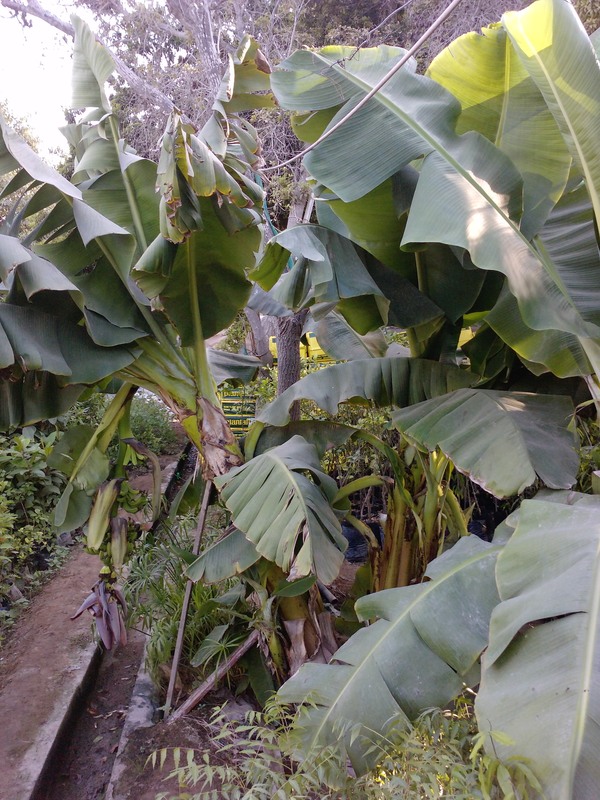 This entry was posted in garden, Muscat, Pictures and tagged banana tree, nursery, seeb. Bookmark the permalink. Neither USA nor Oman is my home country. Glad you like my blog. Simply wanna remark that you’ve a very decent site, I the layout it really shines. I’m coming to city center today.. is this nursery in walking distance from city center…? Hi Poluttan.The one I went to is on the service road going from Markaz Al Bahja direction to Seeb.